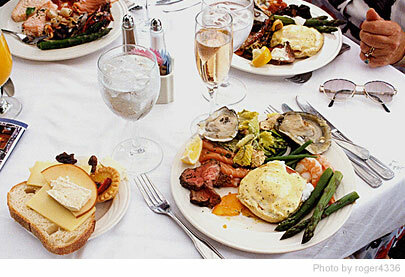 Brunch can be enjoyed on any day of the week but is seen by most as the pinnacle of weekend leisure. Whether you enjoy the meal with a group of friends or your immediate family, brunch themed meals take the best of breakfast and lunch to create a unique dining experience. Served in the hours of the late morning or early afternoon, this weekend tradition is a fun and delicious family activity to help you bond with the ones whose company you enjoy most. While finding a local bistro, café, or restaurant that serves weekend brunch specials might be the easiest route. Next time you have brunch on the brain, try to design a menu of delicious brunch ideas of your own. Depending on whom you choose enjoy this meal with, here is a list of common brunch ideas that are sure to please. More often than not, brunch ideas blend breakfast classics with savory lunch like flavors. Look to your favorite breakfast items like eggs, sausage, bacon, ham, fruits, pancakes, waffles, or pastries to get started. In its most traditional form, this classic brunch idea includes poached eggs served over ham on an English muffin and topped with hollandaise sauce. However, there are many was to tailor this delicious dish to fit your dietary restrictions or preferred proteins. For your next brunch gathering, try swapping out ingredients and consider incorporating different sauces. There are more to eggs that simply poaching, scrambling, or cooking them sunny side up or over easy. For a family style meal, eggs can be easily incorporated into classic brunch dishes like quiche or other egg based casserole recipes. These types of foods can be easily edited by adding a selection of your preferred veggies, meats, and cheeses. Dress up traditional pancake and waffle recipes by adding in fruit or sweet treats like chocolate chips. For brunch ideas to add to your menu, do not feel restricted to your basic pancakes or waffles. Modern brunch recipes have seen the exciting evolution of stuffed potato pancakes, red velvet waffles, and even maple bacon concoctions. Whether you serve it on toasted bread or the more traditional bagel, smoked salmon can be a savory favorite for guests that are looking to eat something cool and refreshing. When serving Smoked Salmon on your brunch menu, set out a variety of toppings like sliced red onion, capers, herbed goat cheese, tomatoes, chives, dill, or even salsa or chutneys. For group brunch ideas, consider creating a small spread with a variety of freshly baked goodies that guests could pick at or eat as an appetizer to the meal. Make these brunch essentials truly stand out by setting out accompaniments like a selection of marmalades, jams, or flavored butters. Think out of the box to make this meal extra special. From bacon cheddar biscuits and pull apart breads to decadent fruit and cheese pastries there are so many ways to turn a traditional recipe into a brunch special. Turn this classic breakfast food in a wonderful brunch recipe by re working your favorite French toast recipe by stuffing it with a sweetened ricotta or chocolate spread like Nutella. French toast has even been used as the bread in popular brunch style sandwiches to create the perfect balance of sweet and savory.